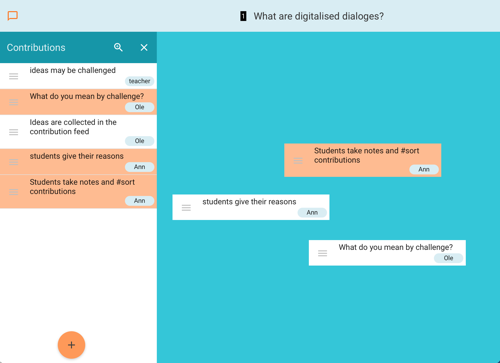 What do we mean when we talk about dialogue for teaching and learning? Talk is used for many purposes, both in educational and in wider social settings. Dialogue can be thought of as particular type of talk that enables learning through the exchange of ideas. 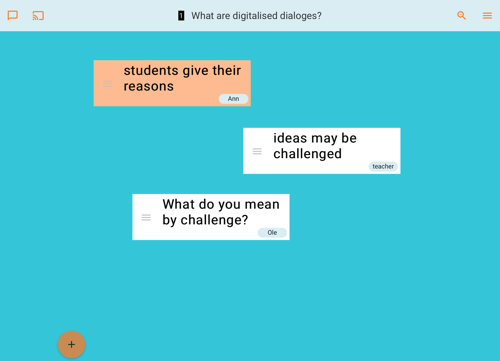 In this section we look at the meaning of dialogue and consider its value for learning in whole class and group settings. In a dialogue, language is used as a tool to enable people to come to an understanding of one another’s knowledge and perspectives. Importantly, dialogue enables ‘interthinking’ and the co-construction of new knowledge, at least for those taking part in the dialogue. Dialogue is therefore talk with a very distinct character and purpose; its use in the classroom is central to the development of learning with understanding. Dialogue is a generally under-represented type of talk in classrooms. 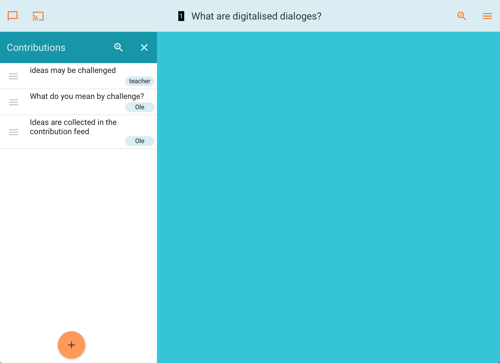 In these two readings, ideas about dialogue are examined in relation to the use of talk for different purposes in the classroom. In reading them, start to consider your own practice and the extent to which dialogue is already a part of teaching and learning in your classroom. Below are three brief activities to get you thinking about your own practice. It may be a good idea to write down your immediate responses. Consider an example of useful talk that you have heard recently in your classroom. Consider a student that you feel does not benefit from group work; who finds working with others difficult; with your ideas about why this is the case, and what impact this has on their learning. Consider your ideas about what you believe needs to be put into place to support talk for learning in the classroom. You may wish to go further in an initial exploration of your role in promoting dialogue in your classroom. Try carrying out the ‘Talk Audit’ below to see which strategies you commonly use in your teaching (simply colour the blocks from 1 to 5 to show the frequency with which you engage in practices with your class). Any surprises? Teachers use talk in the classroom for many purposes. These include such things as providing information, checking understanding, maintaining control and setting up future activities. All of these functions of talk are important. However, in terms of developing teaching to promote learning, there are some uses of talk by the teacher that can be thought of as being dialogic. Modelling and encouraging dialogic interactions in the classroom is the main way in which a teacher can develop a ‘dialogic classroom culture’; this is the focus of the materials presented below. Teachers can help students to think dialogically in many ways: by linking present activities to past experience, so that students can see that their existing knowledge can be used in addressing a new problem; by relating students’ existing ideas to new educational frames of meaning in subject or topic learning; and by modelling ways of using language so that students can see how talk can be employed to share and develop knowledge. One way to develop our practice is to examine what we do already. If you haven’t already, try carrying out the ‘Talk Audit’ below to see which strategies you commonly use in your teaching (simply colour the blocks from 1 to 5 to show the frequency with which you engage in practices with your class). Any surprises? 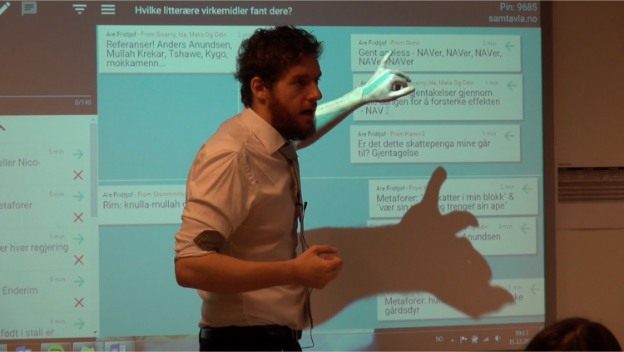 The TERC Project examined how a teacher’s ‘talk moves’ could model and encourage dialogue in their classrooms. Using this resource, consider how you might use the idea of goals and talk moves to develop your dialogic interactions with your students. What do you already do regularly? What do you need to develop? In focusing on talk with our students, it is sensible to start by getting them to consider what they think about the purpose of talk in different contexts. This resource suggests ways in which you might stimulate discussion the ways in which talk is used differently in different contexts. This video presents a brief introduction to the work of Robin Alexander, an academic whose work has led to an understanding of dialogue and pedagogy across cultures. Consider how some of the ideas that appear here provide a supporting rationale for the work that you have done in this section. A teacher can model the interactions expected between students when they work in groups. 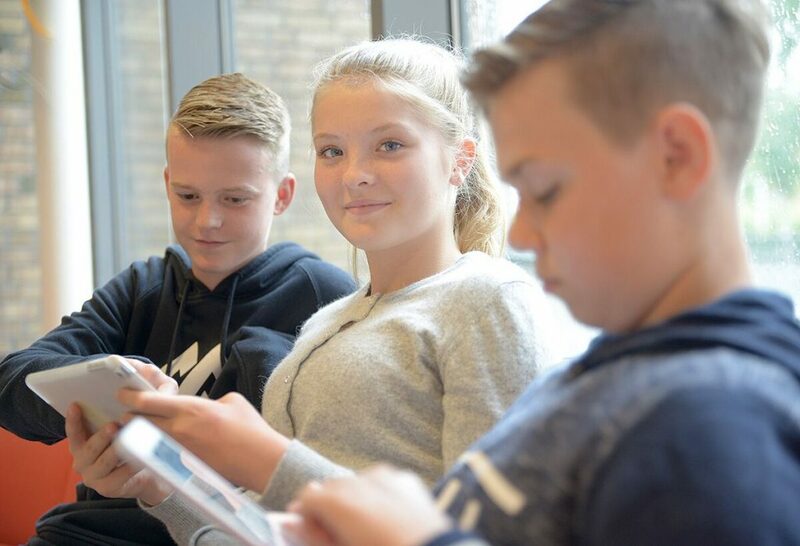 Though group work is sometimes derided as ineffectual, this is only the case where children do not understand what is required to make their group work productive for learning. For it to be more effective it needs to include such dialogic features as reasoning, justifying ideas, acknowledging and repeating the ideas of others, asking focused questions, working towards agreement and elaborating on ideas. This doesn’t come naturally to children. To develop dialogue between students the teacher needs to both model dialogue in their own interactions with the class, and actively teach students to use exploratory talk in their group activities. This section considers how to do this by embedding ground rules for talk into group interactions. Talk comes in many forms. The resources below provide readings and activities that will support your work with students in helping them to understand the nature of talk for learning. It is useful to work through them in the sequence that is presented here. Neil Mercer characterises group talk into three broad types – disputational, cumulative and exploratory. You may also wish to consider why it is important to think about the character of talk in students groups. Talking points are an excellent way of getting students to share their ideas. Try these with your students. 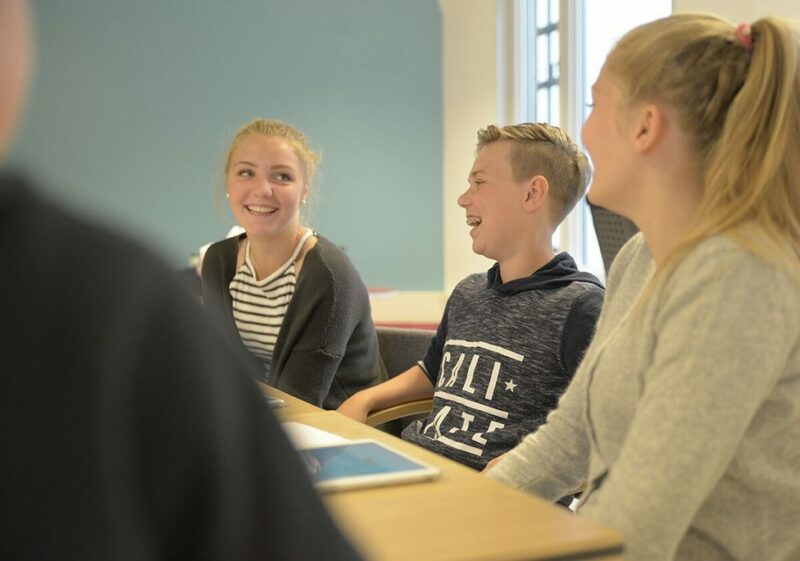 Once students have considered the different purposes of talk to suit different contexts, it is important that they consider in detail how they might talk together in groups in ways that will develop their learning. The best way to do this is to get them to devise a set of ground rules for talk. There are many ways for students to practice the ground rules for talk. One idea is the use of ‘magic number squares’. 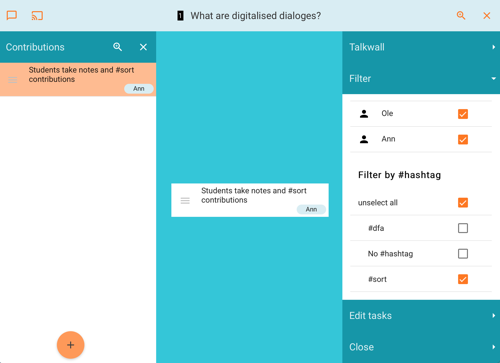 The students engage in dialogue around an activity, using Talkwall to accumulate ideas. 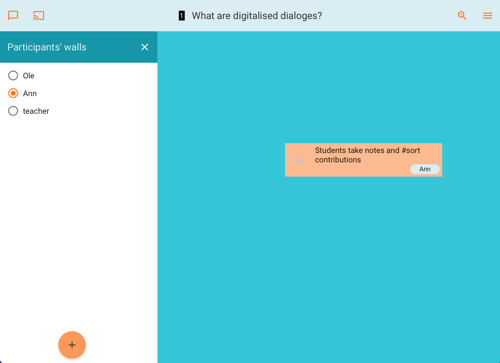 Students can modify their own ideas, and use, edit and comment on other students´ contributions. This feature would need to be carefully managed by the teacher – e.g. the teacher may assign contributions to be commented on by other students. 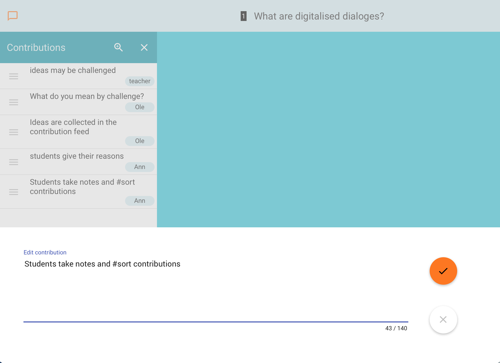 A participant's screen with the feed of contributions. A participant's screen displaying the feed and the editor. A participant's screen displaying the feed and the participant's wall. One contribution is highlighted.